Bridgwater is the fastest growing neighbourhood in Winnipeg. 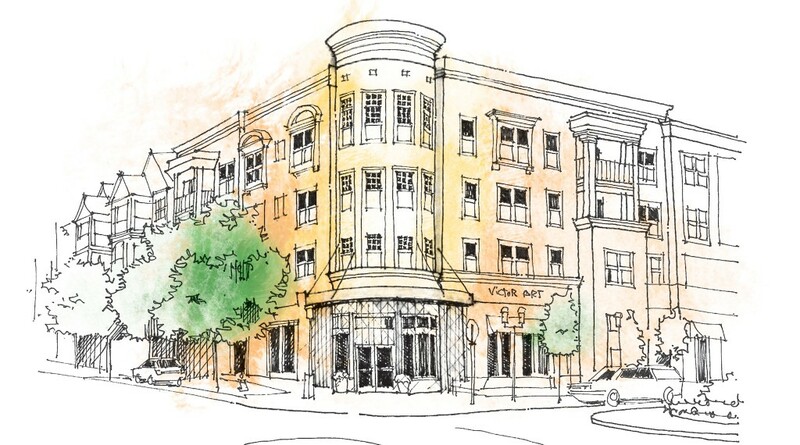 With over 8,000 homes it will have a population of more than 20,000 residents when complete. 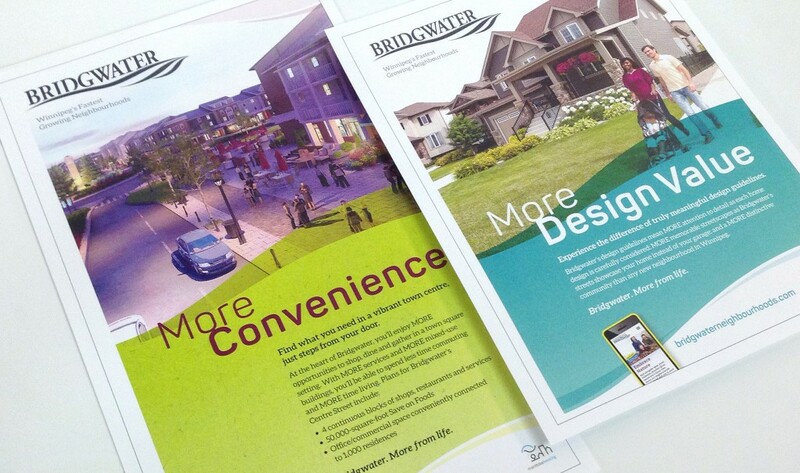 We have worked with the Bridgwater management – Communications Services Manitoba and Manitoba Housing – for a number of years, adapting the visual identity and the advertising materials to meet the needs of this growing community. 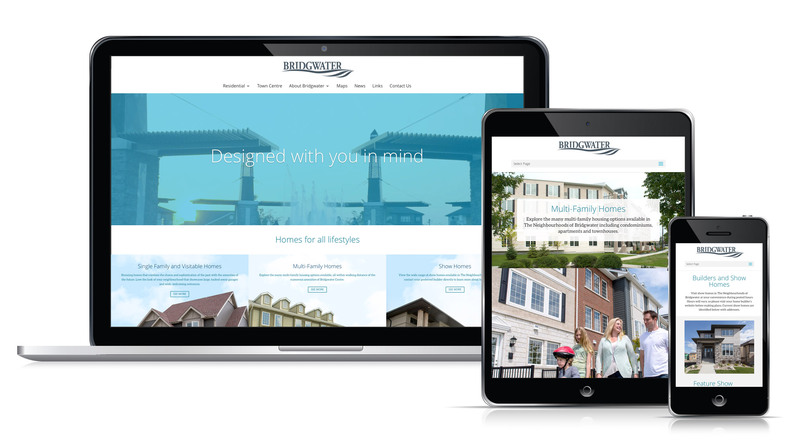 As part of this process, we recently updated their website to ensure that it incorporated Bridgwater’s desired messaging, that it functions in a mobile format, and that it is more responsive to content marketing and SEO principles. 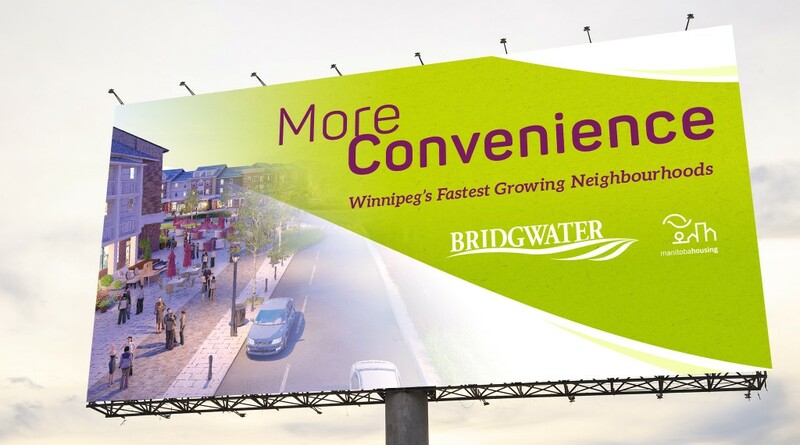 In addition to the online presence, we also developed Manitoba Housing’s advertising vehicles to promote Bridgwater’s key features and benefits. Over the years, these materials have included outdoor, print, Parade of Homes guides and various point of sale advertising.